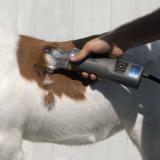 For slick shearing sheep and for clipping cattle heads and tails. 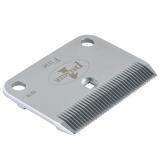 Has a cutting depth of 0.06". The only blades I can/will use. 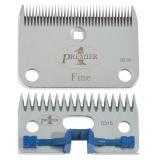 Beautifully engineered, phenomenal customer service and a blade quality the likes of which I’ve never experienced. 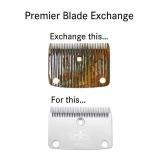 I only use Premier blades on the 150 (avg) horses I clip yearly. They provide a nice finish, are reasonably priced, and the customer support staff are great! Although I run two brands of clippers, only one brand of blades will do for me. 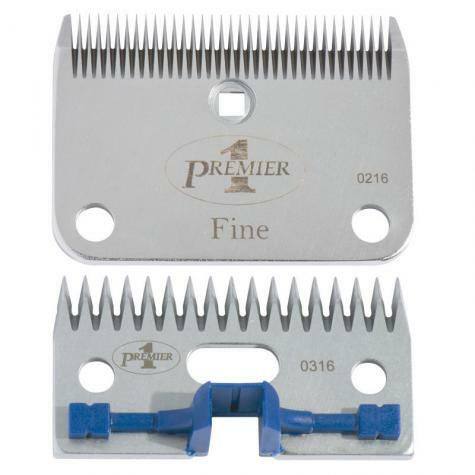 We recently had to purchase some blades for our clippers and was recommended to premier. 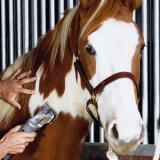 When I called the lady was extremely helpful and very knowledgable of the products. I will definitely be using them again for other supplies. Blades came in quickly and work great. I think they work better than Lister blades. As a professional body clipper, these are my favorite to use. They resharpen great. So very happy with these blades!! Super sharp but doesn’t cut the lamb. Our club has been using old blades for way too long. Wish we would have bought these sooner. They are amazing. Super fast shipping too!! Also very pleased with the engravings! !